Bubba Jenkins at Monster Match! 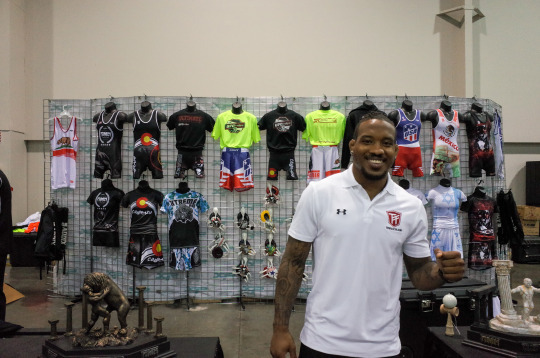 Colorado High School Coaches Association is excited to announce that they will be hosting Bubba Jenkins as the guest clinician for the annual CHSCA meeting held during RMN Events Monster Match Nationals this November in Denver. Jenkins picked up wrestling at age 9 along with basketball and football after the death of his father, a 2-time Indiana State Champion. Jenkins’ wrestling career took off immediately. In his first two years of wrestling, he went 120-2. After exponential success, he signed with Penn State and became a junior world champion and an NCAA finalist, later signing with Arizona State and becoming a NCAA Champion. He’s big on self-motivation, and his clinics revolve around showing competitors new moves they’ve never done, and techniques that they’ve never seen. He is truly focused on strengthening wrestling as a sport, and community by focusing on its foundation, which is getting kids psyched about the sport. Jenkins is psyched for the CHSCA clinic and RMN Events’ Monster Match Nationals in November. Don’t miss out on this valuable opportunity to learn from the best at the CHSCA and Monster Match Nationals. Jenkins is a world-class competitor on the mat, and inspiring individual with an incredible story.